A truly one-off collection of Alexa's writing, doodles and photographs, It combines stories of early style inspirations such as her grandpa and the Spice Girls with discussion of figures of obsession like Jane Birkin and Annie Hall, and reflects on heartbreak, how to get dressed in the morning, the challenges of taking a good selfie, and more. Interspersed with pages from Alexa's notebooks and many a photo of a good night out, It appears in real cloth with hand-crafted marbled endpages covered in polkadots, stripy head & tail bands and luxuriously creamy paper. 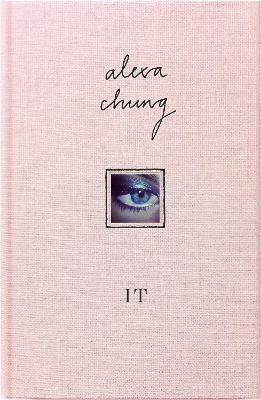 Witty, charming and with a refreshingly down-to-earth attitude, It is a must-have for anyone who loves fashion, worries about growing up, or loves just about everything Alexa Chung.